CA GYANGURU shares ca ipcc and final notes of Standards of auditing. It is very sad and disappointing when students approach me and ask whether they should do proper articleship in a CA firm or should they take a dummy. This sadness comes from the very fact that our Institute at the time of envisioning about this great profession would have never imagined that students would ever ask this kind of questions or for that matter even think of not undergoing articleship. It is to be seen that articleship right from time immemorial has been made mandatory for all students pursuing chartered accountancy profession. The basic tenet of this proposition was to enable a budding chartered accountant understand the nuances of law, accounts, tax and audit and therefore, become a true professional. Never ever would have our predecessors at the Institute of Chartered Accountants imagined a plight where students who have cleared chartered accountancy course could not even prepare a proper bank or cash book, which is typically the case with students who qualify as a CA and did not have had any prior articleship experience. In my professional career of more than 14 years, which includes 3 years of articleship, I have met thousands of fresh chartered accountants. In the first fifteen minutes of any interaction, it is very easily identifiable whether that person has done his articleship, or is he/she giving some irrelevant global gyaan to cover up his inexperience, or I would rather say his/her incompetency to answer relevant questions. Articleship during the course of chartered accountancy is extremely important as it forms the backbone of your career. A qualified chartered accountant without articleship experience is like a blunt knife, which has the power to cut anything but not enough strength. And such knives are not useful to the society and therefore, redundant over a period of time. It is important that articleship should be seen as a tool to learn and grow whilst in the process of your journey to become a chartered accountant. I can share with you my experience when I was looking for articleship at the time of starting my career. I did my graduation from Delhi University and at that time there were not many people to guide us for good articleship firms. I am talking of the year 1999. However, through some references I tried in 3-4 good firms and finally got through a firm called RSM & Co (which later merged with PwC in 2006). During my articleship, my seniors always used to tell me one thing that the harder you work as a trainee, the brighter you would be as a chartered accountant. And I think that grooming and training we received in our articelship days really helped us become solid professionals. Some students also ask how would they cope up with studies and classes during articleship and my answer to them always remain the same. You do not need coaching and training for all the subjects and even if you need then focus on your time management skills. It is very important for anyone to realise that CA degree is a highly respected profession not only in India but across the globe and it is therefore, important that one manages everything well. Me and my batch mates have all attended classes, though not all and used to travel extensively during our articleship days. In fact, it was so much that almost 10-15 days in a month I was outstation and therefore, always missed my classes. However, everyone in our batch always had one thing in our mind that we have to focus on our work as well as studies and therefore, managing them together was the key. This attitude of not cribbing always helped us find time both for work and studies. My advice to young students who pursue chartered accountancy is always do articleship honestly and with utmost seriousness. Things that you would learn in those three years would go a long way with you and would help you become a strong and respectable professional. In the short term you might find things easily achievable, however your ambition to become a through and brilliant professional might turn out to be a distant dream. After all do you want to be branded as a ‘Dummy CA’ after working so hard in clearing such difficult papers. 1. In practical problems never start your answer with Yes or No unless you are 100% sure. First mention the relevant provision and show in your answer how you reach the conclusion. In the end conclude your answer in the following manner: “On the basis of above discussion we can conclude that as per the Section-166 Annual General Meeting can not be convened on a public holiday.” (Consider this as an example). On the contrary if you are 100% sure from the very beginning always start your answer with Yes or No. Like in the above problem it is very much sure that AGM can not be held on a public holiday. 2. Try and always mention the relevant section. Make it a habit. Do not ask anybody regarding the importance of remembering a section. If you make it a habit now it will 100% pay at the time of your final preparation. 3. In distinctive question never segregate 2 provisions with the help of a line. (i) Fixed charge is created in the specific property on the other hand floating charge is created on the class of property. (ii) Fixed charge clutch the property whereas floating charge floats over the property. Conclusion: You should use “on the other hand” OR “whereas” to club two different provisions. 4. You may underline the relevant provision or any substantial provision. 5. In theory paper never read practical problems first. First attempt flat questions. Like in Audit or Law first attempt short notes or distinctions etc. Reason for not attempting the practical problems first is that in the beginning you have enough time to read it twice or thrice and waste your time. 8. In exam never use short forms like AGM, EGM, CG, CLB, ROC, ICSI, ICAI, SAP, AS. 10. Try and make an effort to complete your paper 100%. In other words attempt full paper of 100 marks. This is very important for fetching more marks. Whenever a company fails to file the annual accounts and annual returns, desc -ribed in sub-clause (A) of clause (g) of sub-section (1) of section 274, persons who are directors on the last due date for filing the annual accounts and the annual returns for any continuous three financial years commencing on and after the first day of April, 1999, shall be disqualified. How is chartered Accountancy as carrier and how to do and its job prospectus? The qualifications for becoming a CA have changed over the years. Initially — and that was decades ago — one could think of becoming a CA only after finishing graduation and a candidate had to undergo five years of articleship training. In 1991-92, ICAI allowed candidates who had cleared their Plus Two examinations to appear for the Foundation Course of the CA programme. In October 2001, ICAI introduced PE-1 and PE-2 system of examinations in place of the Foundation and the Intermediate examinations. However, in 2006, ICAI revamped the system and launched CPT, IPCC and FC. The unique feature of the chartered accountancy is its curriculum, which is theoretical education with complementary practical training. A student would undergo theoretical education and practical training concurrently from the very beginning. This balanced approach helps the students to appreciate the underlying practical applications of the theoretical education scheme. Common Proficiency Test (CPT)CPT is an entry level test of four subjects i.e. Accounting, Mercantile Laws, General Economics and Quantitative Aptitude. Integrated Professional Competence Course (IPCC)This is first stage of CA curriculum wherein only working knowledge of core and allied subjects to accountancy profession is covered. The subjects of IPCC are classified into two groups which a student can study and appear in the examination group-wise or both the groups together. IPCC is designed to improve knowledge of accountancy linked to accounting standards to build strong foundation for developing knowledge of financial reporting at the final stage. The students update their knowledge of business communication, business strategies, taxes, information technology and audit. 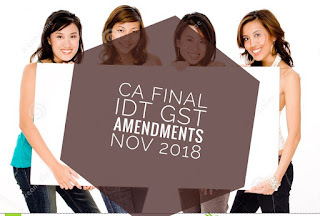 CA Final CA Final covers advanced application knowledge of core subjects like financial reporting, strategic financial management, advanced management accounting, advanced auditing and professional ethics and information systems control and audit. In addition, principles of e-governance, corporate and allied laws, international taxation and VAT are important features of the updated subject contents. Articleship The students after passing Group I of IPCC will register for Articleship for a period of three years with experienced CAs. Certain rules do apply - CAs with 16 years of experience and above can take on about 8 articles, those with less experience can train fewer articles and these teachers or 'Principals' as they are called, can be changed during the course of training. An agreement of training needs to be executed before it begins. During the training time, articles learn the technical details of the work and as time passes, they are given larger assignments with less supervision. All articled clerks are paid a stipend depending on their city's population. Unlike other professional courses, the fee for becoming a CA is very less, which is inclusive of the cost of study material. For registering with IPPC you have to shell out Rs 9000 while the fee for CPT is Rs 6700. On completion of the training, the candidates need to gain membership to the ICAI before they can start practicing as a CA. A member wishing to practice in India or abroad needs to obtain a Certificate of Practice from the ICAI, the yearly fee of which is Rs. 400. Once the membership is taken, the practicing member cannot work in any other business or occupation without taking permission from the council; they are only permitted to work in areas as specified in the CA regulations. More information on enrolment or the examinations can be requested from the Institute's offices or the Headquarters at Indraprastha, New Delhi or the Board of Studies, C1 - Sector 1, Noida - 201301.
what is cost of inflation index for assesment year 2015-2016 previous year 2014-2015? How to complete ca exam paper on time? paper in given period of 3 hours. and pass with flying colors. The trick is to be prepared and confident. are bound to emerge as a winner. (according to me) in this article. fear that it's wrong to ask for the help. it's an unhealthy attitude toward life. the task even before you know it. that help you to maintain positive attitude. life by worrying on your weaknesses. with a common sense in all situations. 4. Keep yourself neat and clean. environment more pleasant for you. yourself of your reasons to go on. get the things slow down. you love yourself, you'll love your life. anything or any one for granted. often things won't happen immediately. You can't get what you want instantly. one thing to do, what is in front of you. How to apply for CA articleship in Big 4 ?